When 550-fill-power down meets 40g Omni-Heat Thermal insulation, magic happens. 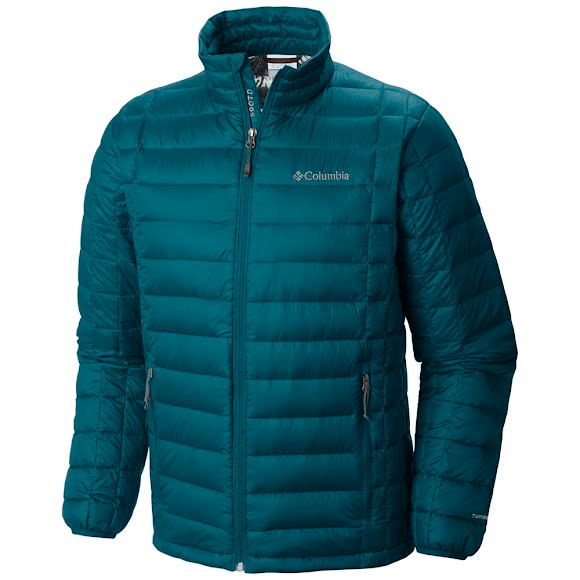 Columbia's Voodoo Falls 590 TurboDown Jacket retains nearly every degree of body heat and is one of the warmest, softest, and lightest jackets they make. A durable water resistant shell with grid baffling provides a snug, close-to-body look and feel. When 550-fill-power down meets 40g Omni-Heat Thermal insulation, magic happens. Columbia &apos;s Voodoo Falls 590 TurboDown Jacket retains nearly every degree of body heat and is one of the warmest, softest, and lightest jackets they make. A durable water resistant shell with grid baffling provides a snug, close-to-body look and feel. Columbia combined Omni-Heat™ Thermal insulation with down then lined it with Omni-Heat™ Reflective and created TurboDown™ Performance enhanced down. Measurements Center Back Length: 28"